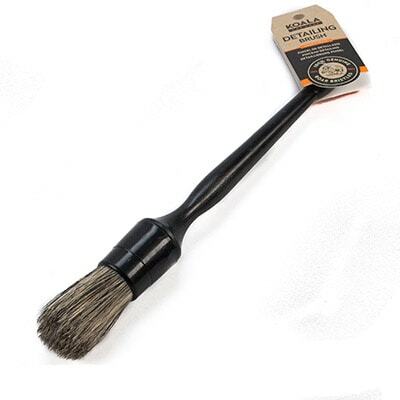 100% Natural Boar Detailing Brush Small. For sensitive areas and remote corners, achieving the best results. 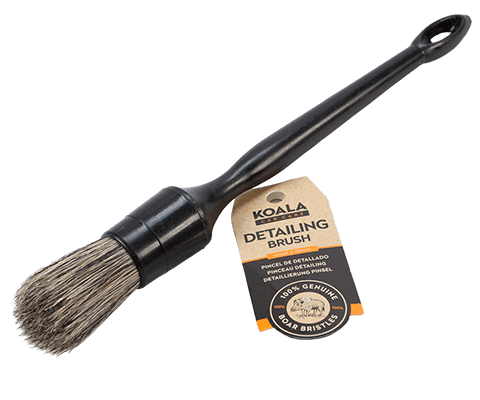 WHY SHOULD YOU USE THE KOALA SMALL DETAILING BRUSH? 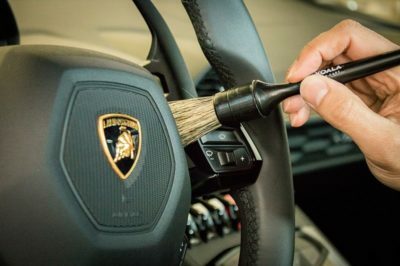 The soft and delicate 40 mm boar bristles ensure no surface, including paint, is scratched or damaged, for that reason it is ideal for interior and exterior. 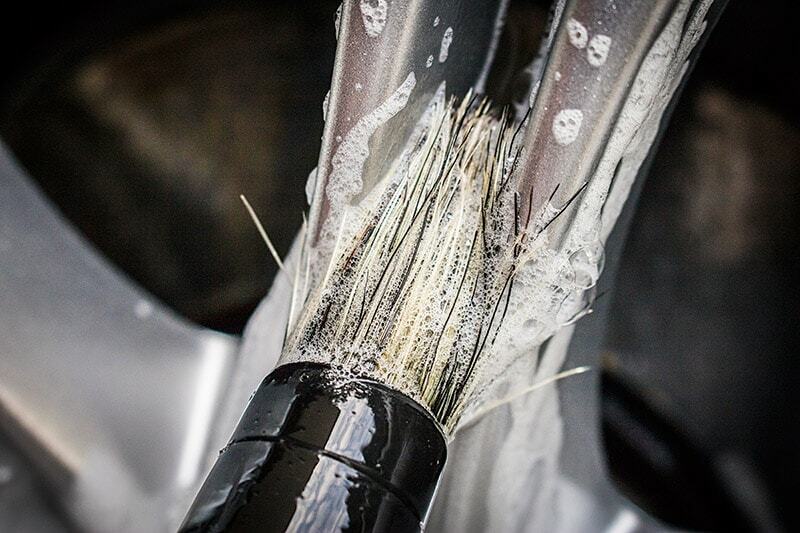 Natural boar bristles absorb a lot of soapy water and are resistant to chemicals. These bristles are attached to the handle by epoxy glue which guarantees that the durability. Since the brush lacks metal in its manufacture, it does not have to worry about accidentally scratching the surfaces. 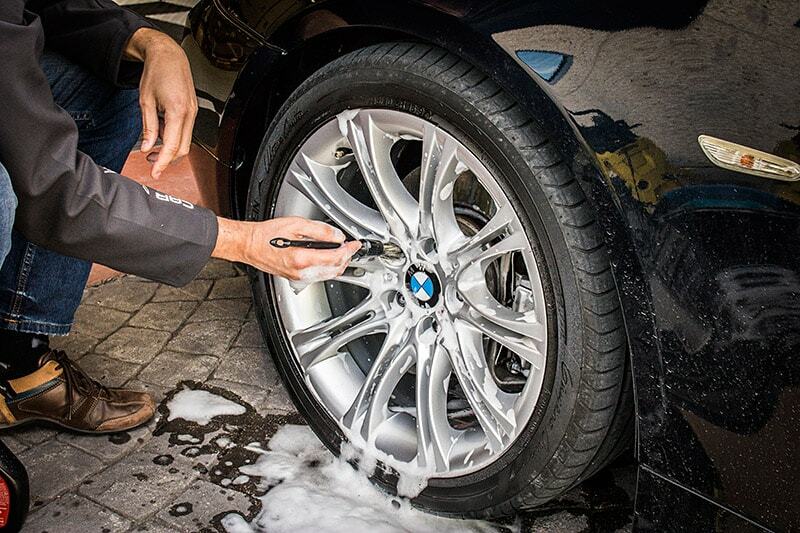 It is perfect for cleaning grills, vents, tires, emblems. Inside it can be used in vents, belt hooks, dashboards, seat guides, door pockets, seat folds, keypads, etc … Its uses are endless. Due to the quality of its bristles, it can be used inside or the exterior. 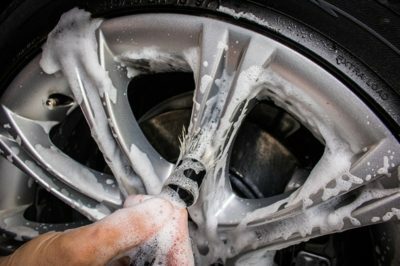 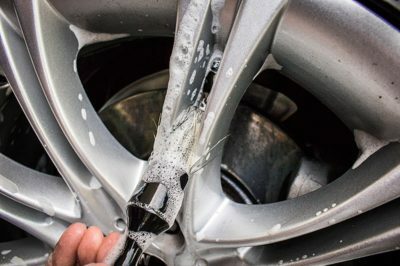 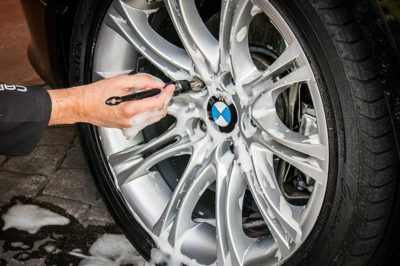 Boar hair retains a lot of water, and therefore is ideal for cleaning tires, wheel nuts, emblems, grilles, mirrors, fuel cap and any small area or difficult to access with gloves and other washing tools. 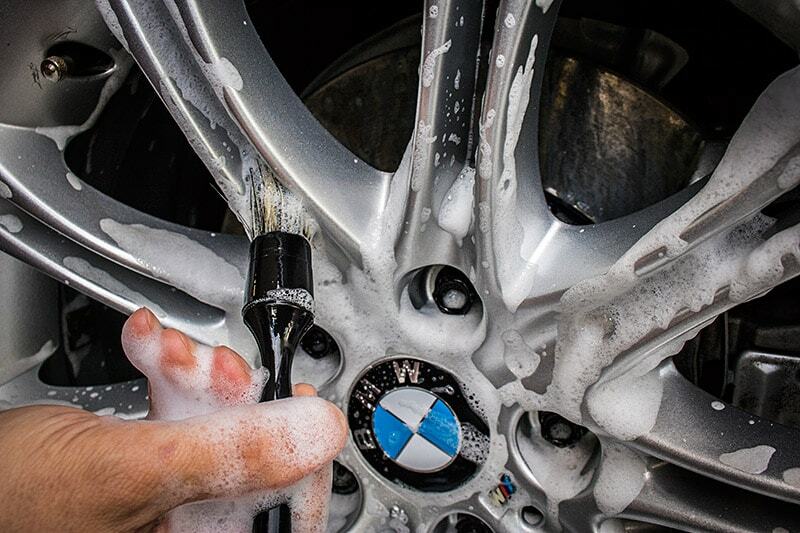 Soaks up much soapy water. 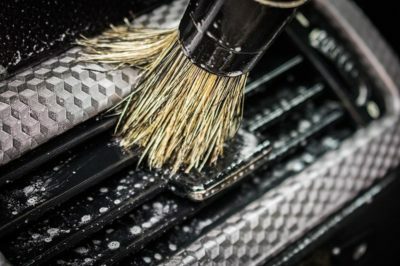 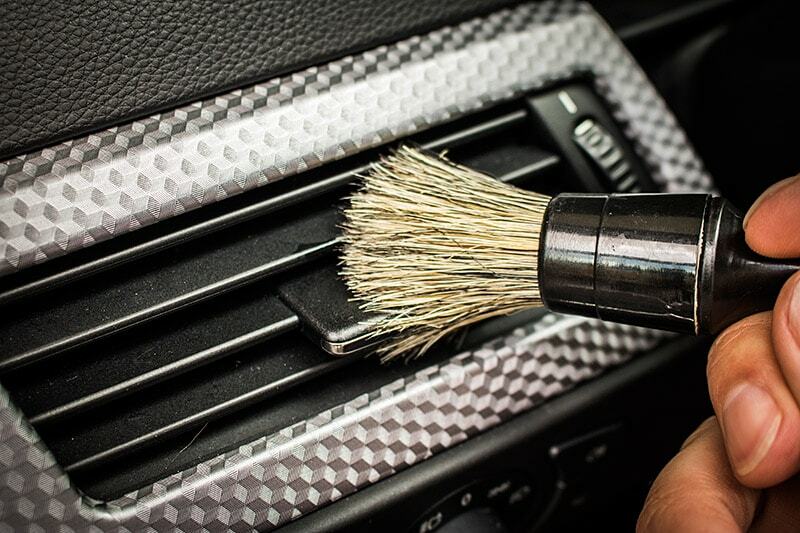 The soft bristles make it ideal for the exterior of any vehicle. 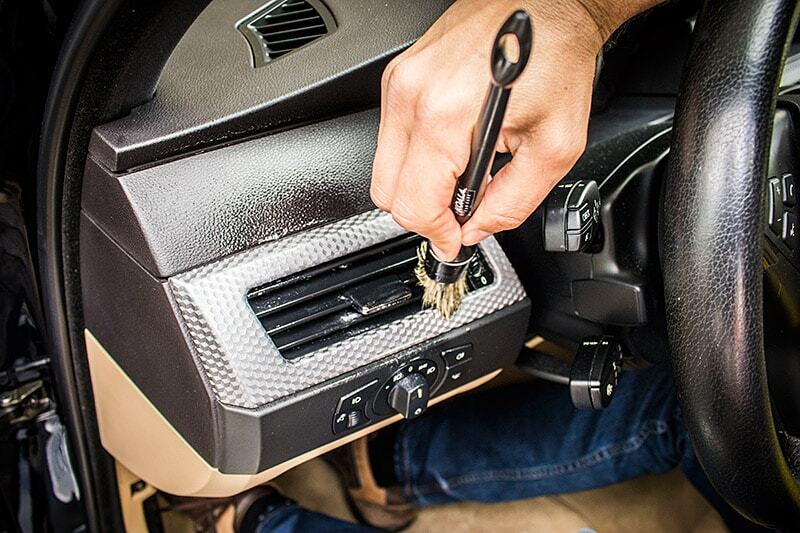 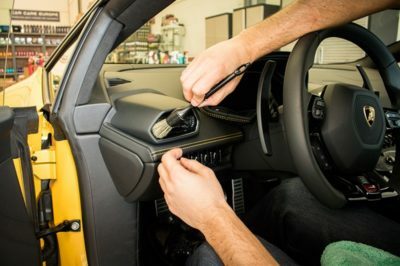 Inside it can be used in vents, belt hooks, dashboards, seat guides, door pockets, seat folds, keypads, etc … Endless uses. Maintenance tip: Rinse after use and let air dry.